This document is the fruit of our first two open forums. While it is not a finished product, it is a reflection of what we will likely be asking of all LIFEGroup drivers in the coming years. Check it out, give some feedback! Calvary Church desires to be a church of communities connecting to God and others. Our primary method for achieving this goal is by growing formative, caring, and missional communities. While these communities may take many different shapes, we refer to them all by one name, LIFEGroups. The men and women who guide these communities are LIFEGroup Drivers. 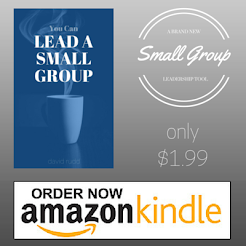 *It should be noted that a LIFEGroup Driver does not need to DO all the items required for group leadership. Rather, the driver should ensure that everything necessary is accomplished. This can and should be done by recruiting and equipping the group members to handle roles which correspond to their individual giftedness. This MIGHT include leading discussions, guiding prayer time, reminding the group of its purpose, talking about missional projects, encouraging evangelism, keeping track of needs, and other things. This SHOULD include ensuring the group maintains a formative, caring, and missional balance. An "Action Time" during which the group updates its caretaking for each other and its missional activities in the world. This MIGHT include meeting group members needs, cultivating relationships, mentoring a future leader, recruiting new members, administrating group activities, contacting absent members and other things. This SHOULD include taking appropriate action to assist the group's formative, caring, and missional GROWTH.